THE LARGE RIVERS OF GUYANA AND SURINAME HAVE THE POTENTIAL TO GENERATE OVER 14,000MW OF ELECTRICITY – ENOUGH TO POWER EVERY CARILEC COUNTRY. 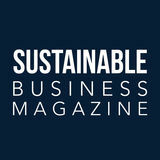 Sustainable Business Magazine speaks to Donald Baldeosingh, President of the ENMAN Group, and Paul Quesnel, Board Member of the Southern Caribbean Cable Company, about a project which would transform the energy and telecoms landscape of the Caribbean. The Southern Caribbean Cable Project is a proposed power and telecommunication interconnection between Trinidad and Tobago, Guyana, and Suriname. 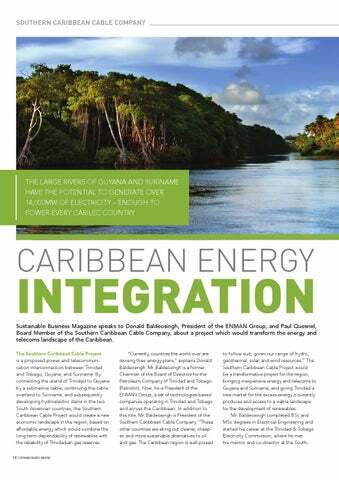 By connecting the island of Trinidad to Guyana by a submarine cable, continuing the cable overland to Suriname, and subsequently developing hydroelectric dams in the two South American countries, the Southern Caribbean Cable Project would create a new economic landscape in the region, based on affordable energy which would combine the long-term dependability of renewables with the reliability of Trinidadian gas reserves.